Wipe up a spill right away. Falls are the leading cause of nonfatal unintentional injuries for every age group, except 10 to 24 year olds—and for them it’s the second leading cause! Wiping up spills is one of several simple ways to prevent falls. Not leave a child alone near water (yes, even for less than a minute). Kids don’t drown only in pools. Bathtubs, buckets, toilets, and hot tubs can be drowning dangers as well. Test your smoke alarm to make sure it’s still working, and everyone in your household can hear it. 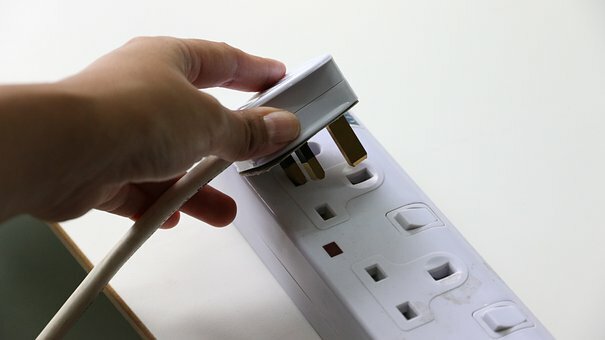 Even alarms that are hard-wired or have long-life batteries need to be checked. 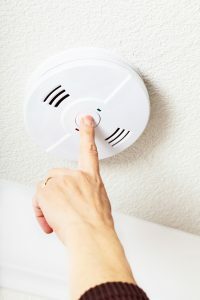 You should have at least one working smoke alarm on each floor, and one inside every sleeping area is best. Consider having both ionization and photoelectric alarms, or dual alarms that incorporate both technologies. Ionization smoke alarms respond best to flaming fires, and photoelectric to smoldering fires. Put away matches or lighters in a high cabinet or locked drawer, out of sight and reach of children. Children playing with fire is a leading cause of fire deaths for children under age 5. Turn off portable space heaters when you leave the room or go to sleep. Space heaters are involved in 32% of heating fires but cause 82% of associated deaths and 64% of injuries. Adjust the thermostat on your water heater to keep hot water less than 120°F, to prevent scalds. 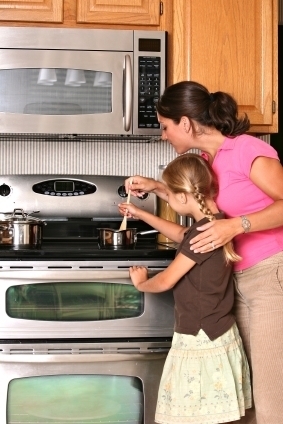 Turn off the stove if you have to leave the kitchen while cooking. Unattended equipment is the #1 contributing factor in cooking fire deaths. Put on your glasses and read the fine print on that medicine bottle. Unintentional poisonings have risen steadily since 1992, and for people 35 to 54 years old, they’re causing more deaths than motor vehicle crashes. Know how much, and how often, you can safely take any medication whether prescription or over-the-counter, as well as possible interactions with other drugs. Keep the metal mesh screen of your fireplace closed, but leave glass doors open while burning a fire. The U.S. Fire Administration says leaving the doors open gives the fire enough air and keeps creosote from building up in the chimney. The screen helps keep embers from getting out of the fireplace. Close the glass doors when the fire is out to keep air from the chimney from getting into the room. Got a few minutes more? Use these 8 simple tips.